In his book called Captured by Grace, No One is Beyond the Reach of a Loving God Dr. David Jeremiah gives us wonderful insights on how our Loving God gathers his chosen ones, in this case John Newton, a slave trader who later on wrote the well loved hymn Amazing Grace and Paul, who use to persecute Christians before converting. As Christians most of us have studied Grace as a subject yet we do not always understand or even accept its simplicity. Yet no one is beyond the reach of a Loving God and clearly if we believe, we can be saved no matter our lifestyle. In Captured by Grace you will find amazing examples and stories showing us Grace is always there in fact, in the past, in the immediate present and in the future. Using Amazing Grace as illustration, this author defines each part of the hymn and refers to its biblical explanation. This compelling book is certain to reach out to each and everyone of us thus helping us to experience God's Grace. Each chapter shows clearly the different aspects of Grace, relating scriptures references and ending with Moments of Grace. Dr. David Jeremiah is the author of several other books. His bible teaching program Turning Point is broadcast internationally. I find this book to be very informative and an excellent addition to any Christian library. Note: I received this book free from Thomas Nelson/Booksneeze as part of their book review program. I was not asked to give it a positive review and all opinions and statements are my own. When given the opportunity to review The Catholic Prayer Book I jumped on the occasion. This large print edition offered by The Catholic Store certainly is the best! Compiled by Msgr. Michael Buckley and with forewords by both Cardinal O'Connor (Archbishop of New York) and Cardinal Basil Hume (Archbishop of Westminster) it inspires Christians of every denomination through the Holy Spirit, not just Catholics, to pray. Praying is essential to everyone who truly believes and absolutely necessary for life. Catholics prayer books have been throughout centuries treasured possessions usually given at special occasions such as first communion, confirmation and marriage. Many changes have occurred in the World and in the Church reflecting a need for all Christians, individuals and groups alike to reach out to one and other and pray. The Catholic Prayer book provides us with old and new prayers, both liturgical and sacramental and devotional meditations. 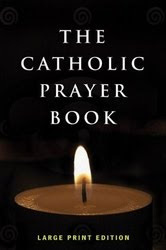 An excellent prayerbook the Catholic Prayer book is bound to become a favourite for each of us in our daily devotions. Its inspirational format will lead Catholics in prayers whilst introducing Christians everywhere to the many facets of our beliefs. I recommend the large print edition to anyone who reaches out to their prayer book nightly (so much easier once you take off your glasses...) but especially for the elderly as we all remember the very small print of our personal prayer books! I gave it a 4 stars rating! When she mentioned the possibility to visit the tallest lighthouse in the State I started packing! In fact at 107' tall and situated at 123' above sea level this was my first visit to a lighthouse. Truly we skipped that part but the lighthouse keeper was a great source of local information so we felt we did not miss anything. The one thing we made sure we would not allow ourselves to forgo seeing was the Fresnel lens, made in France and shipped to the US in the mid-19th Century in molasses! The latter we understood to prevent the lenses to be damaged during transport. And what a wonderful sight! These lens consisted of concentric rings of glasses prisms, in fact 1,176 prisms and 24 bull's eyes. This particular type of lens will project a beam to a distance of 26 miles. As a signal to ships at sea, the eight foot high, two tons lens rotated completely every four minutes on its four ton pedestal and produced a white flash seen every ten seconds. On the 31st of December 1891 the lighthouse was illuminated for the first time and remained in action until 1968! Whilst the lenses rotated we noticed shadows on the far wall and I was very glad my little camera produced a good photo! As a teenager I remember wishing to live in a lighthouse or on a barge...I have now visited a lighthouse and I also remember the many barges on the canal behind my house...Oh the dreams...Until the next time! If you consider I am just beginning to get used to the idea of buying online you will be surprised to hear how excited I was when CSN.com recently gave me the opportunity to check out their 200+stores and post reviews on my blog. Perhaps I am still of the old school but I like to physically go to a store site and browse through the displays (yes, I still like to carry a basket and stroll through the market!) Thus it took some adjusting but I learned to surf the web for a specific item and I soon discovered what a great resource the internet was. This was the also the best price I found for this item! Since I was getting acquainted with the many stores I went a step further and checked their telescopes because my husband is dreaming of a larger one than his older 4" Celestron NexStar. Again I was surprised to see how competitive their prices are. Perhaps one day we could look into this particular one with its 6" Schmidt-cassegrain Celestron NexStar 6SE Computerized Telescope - 11068 Since we live by the ocean we could not resist checking also the following, someting we both would like to acquire! But most important to me was finding our the charitable contributions these many stores sites are actually giving! 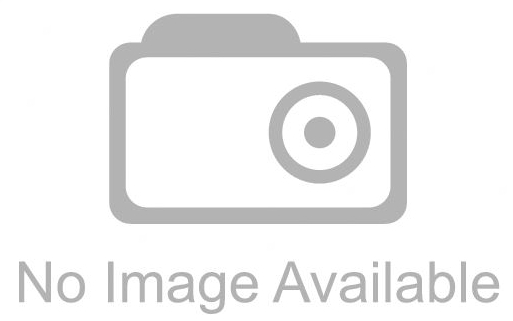 I think if you are like me it makes it that much more special to purchase from a site and it definitively gave me a good feeling. 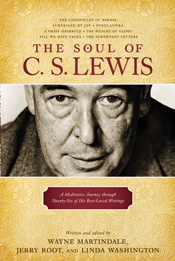 Written and edited by Wayne Martindale, Jerry Root and Linda Washington, the Soul of C. S. Lewis is an amazing book reflecting the wonderful world of fiction and non fiction work which inspired so many readers! I will admit to being a fan albeit sometimes a confused one when confronted with C.S. Lewis's ideas of fictional life versus real life. In this book each of the 26 stories discussed by the authors/editors describes life as we know it, dreams of Heavenly life and C.S. Lewis wonderful creation of fictional characters which has fascinated generations of young readers around the world. Chapters discussed also contains excerpts of the author's books as well as ten related meditations for each one, inspiring us to deeper understanding of the relationship between our lives and others surrounding us. This is truly a challenge to know God in a much more meaningful way. A well written and inspiring book, the soul of C.S. Lewis is an excellent addition to your Christian library! My parcel arrived, safely delivered by a kind neighbour to our island home and I wanted to share it with you! Made in Turkey, these "Ebru" needles are handmade following centuries old craftsmanship. Just the feel of these knitting needles allows you to understand the time and care given to each pair by these Turkish artisans. These beautiful knitting needles are the perfect heirloom item to pass on to generation of knitters! Since I personally knit for little Angels http://heavenlyangelsinneed.com/ I decided to order size #5 Ebru needles and also to try their "Sifa" yarn http://www.theknitbox.com/ . Sifa yarn is 100 % cotton all natural and ionized with 5% silver, and best of all it is said to have healing properties! The best part of Internet shopping around the world is the opportunity to make friends! I have discovered the pleasure of meeting so many special women whom like Figi the owner of the Knit Box have a mission. It makes shopping that much more special! The Knit Box will be at I-Knit Weekender 10-11 September 2010! Note: Federal regulations requires me to remind you this post is reflecting nothing but my opinion and is NOT a paid advertising! Okay, Corgis are supposed to like water so what happened here? Since McIntosh is not fond of water either, I could not resist sharing this photo. Absolutely funny! Welsh legends tell us that the Faeries use Corgis to pull their carriages or as mounts for them to ride into battle. Look carefully, you can still see the marks of the faerie saddle on their shoulders. As time went by, they learned to help their humans watch over their cattle, a task to become a responsibility for their descendants for the centuries to follow. Someone also told me Corgis were brought over with Flemish weavers, who settled in Pembrokeshire, South Wales in the 12th century, and bred with the local cattle dogs. I like that idea! As to the origin of its name, since it combines the Welsh word "cor" meaning "to watch over or gather" with "gi", a form of the Welsh word for dog it would seem logical. "Her Majesty, Queen Elizabeth II of England, is a longtime Pembroke fancier. In 1933 her father, then the Duke of York (later King GeorgeVI), purchased a Pembroke puppy named Rozavel Golden Eagle as a playmate for his daughters Elizabeth and Margaret. Queen Elizabeth's interest in the breed has continued throughout her life, and several lovely Pembroke Corgis still grace Buckingham Palace". And if anyone wishes to see my favourite Corgi author, please check Tasha Tudor's site! You will fell in love with these wonderful little dogs! Note: All the above mentions are my own opinion and I was not remunerated in any way for expressing it! God heard a Soldier's Prayer. I signed a piece of paper. Of this bright and promised land. Today is a good day: We are FREE. Today is a good day: We are ALIVE. Today is a good day: This is our LAND. Today is a good day: God is with us ALWAYS! NO TINSEL, NO PRESENTS NOT EVEN A TREE. CURLED UP ON A PONCHO THE FLOOR FOR A BED? MY LIFE IS MY GOD MY COUNTRY, MY CORPS." I COULDN'T CONTROL IT I CONTINUED TO WEEP. "MERRY CHRISTMAS MY FRIEND AND TO ALL A GOOD NIGHT." I have no rank upon my shoulders. salutes I do not give. But my husband is the one who does, this I cannot forget. I'm not the ones who fires the weapon, who puts my life on the line. But my job is just as tough. I am the one that's left behind. and the call to serve his country, not all can understand. My husband makes the sacrifice, but so do our kids and me. I love the man I married. Soldiering is his life. But I stand among the silent ranks known as the Military Wife. I love anything which speaks of days gone by, tablecloths, runners, local pottery, copper, brass, bits of china and anything that reminds me of the ocean. Every shade of blue of course and red for happiness! Autumn is my favourite time of the year, the crisp cool mornings, the rich colours of the trees, the rustling of the leaves falling, the smell of home baked bread and the anticipation of the Christmas season! With friends and family on most continents we are happy to be able to keep in touch with emails, blogs and of course snail mail. As to the later as we have no deliveries of any kind on the island, picking up mail requires a ferry ride across our inlet! There is such a comfortable feeling in hearing of each and everyone and in turn share what is happening in our little corner of the world! Many of our soldiers here at home and across the oceans hope to hear from someone who cares. A letter means so much! Let no one be forgotten! I find this a perfect time to catch up on my never ending knitting - too many projects and too little time - good reading and of course a cuppa! As you can see, I am not the only one who thinks there is always tomorrow...Talk about relaxed! Maybe we should take a cue from our furry friends! As "Twelfth Night or What You Will" happens to be my favourite of Shakespeare's plays I was reminded a few days ago whilst shopping for what else but more yarn, with a friend of one of its most famous phrases: “If music be the food of love, play on” such an elegant and so romantic line! This play was written as a Twelfth Night entertainment for the closing of Candlemas, the formal end of Chrismastime in the year's calendar (called also the Eve of the Feast of Epiphany). One of the many things I remember from my childhood is the linen Granny or Mum used on our dining room table. There was always a tablecloth on our table and I cannot imagine either ladies serving a meal without it. There were delicate linen used only for the holidays or special occasions, tablecloths with bright seasonal designs, napkins and basket liners. But the one item I most remember was the "everyday" tablecloth. My sibling and I being typical children were somewhat clumsy and spills were common. Thus Granny resolved this problem with a thick oil cloth. I still remember summer holidays on the coast, Mum packing trunks to be delivered to our rental and Granny choosing a new oil cloth for the summer table. The apartment or house then become "ours" as it created a coziness we thrived on. Mum had a favourite department store she often shopped at whilst Granny prefered the open air markets both in the city and on the coast. Either place would display lovely linen, local or from faraway places just waiting for us to discover! Granny ever so practical would look for items which would serves us well along the years whilst Mum chose to buy and often store for later uses...which often never came. I myself live with the motto "If it is not an heirloom or used at least once a year, it goes!" I use everything I have constantly and whilst some linen shows some wear and tear, I cannot stop using them. I find the house much more homey this way! It is odd but growing older I seem to remember more and more of those moments, recalling smells and feels. Lavender always played apart in it as Granny would tuck linen sachets in all the closets! I still reach out for linen first in any stores, be it department stores or thrifts shoppes. There is nothing like a well used linen item and I love the feel of its starch! I have a few treasures I tucked away for special occasions and I do not hesitate to use these for a celebration such as a birthday, holiday or special events. Others however can only be described as souvenirs! One of these treasures are samplers sewn-ed by Granny at her school as seen in the above photo. During the First World War times were hard as the country was occupied and supplies were scarce. Her sewing however at 9 years old was absolutely lovely and I have kept this to remember a spunky 9 year old who would have preferred to run across the dunes with the boys then doing cross stitch! As the mother of a little boy who loved treasures chests I was always on the lookout for them and one day found the perfect one for him. We filled it with shiny nicks knacks and piece of broken custom jewelry which his great grandmother would keep for him and he would play for hours. No one was allowed to remove any piece from it and its contents were cherished by him as the cavern was by Ali Baba! He still collects albeit I have not seen any treasure chest lately! Jerry Bridges is an author whose work I very much enjoy reading. He has a remarkable talent to choose a particular subject, delving in it and presenting in such a way anyone can relate to! The more I read on and the more I found it to be true: God's Grace is so simple! Jerry Bridges shows us the true side of God's Grace and reminds us our Saviour paid the price of our admission into eternal life. He skilfully tells us to stop trying to buy our way in, instead showing us how to give out of love, not as a way to earn merits. Each chapter gives us a remarkable insight into life as we see it and allows us to use God's Transforming Grace to live confidently in His wonderful love. Ten years in the making, this book comes with an amazing study guide of eight sessions that will bring even more understanding of God's love for His people, a perfect tool for personal reference or discussion in a small group. I give this book a 5 stars. It belongs on any Christian library! Anyone who has had the pleasure of choosing a make over colour for their home knows it can be a challenge depending not only on the palette offered by the store but also by its sale people. "To calculate square footage, multiply the width by the height of each wall and then add the figures together. Next, calculate the area of all surfaces that will not be painted, such as windows, fireplaces, and the like. Again, multiply width times height and add the figures together. Then, subtract this number from the first number. Finally, add 10% so you will have some paint left over for touch-ups or repairs in the future. To calculate how many cans of paint you will need, divide your final number by the spread rate of the paint. Coming back to the many amenities of civilization - the cabin has a generator, a solar pump for our 306 ft deep well, no electricity or running water and as for the loo, it can be a challenge at times - we always seem to have lots of mail to deal with and then (or not) a few parcels. In this instance once again the USPS reminded me not to put them on my Christmas list... One parcel is AWOL, a second was delivered at a neighbour's box... However my copy of Martha Washington's cook book arrived safely! Wow! I had the pleasure of discovering the First Lady's kitchen and herb garden a long time ago and never forgot it. A step back in the past and yet amazingly all the necessary requirements of a much more modern but efficient kitchen. I loved its tiled floors, the large working tables and the spacious yet cozy feeling the kitchen exuded. 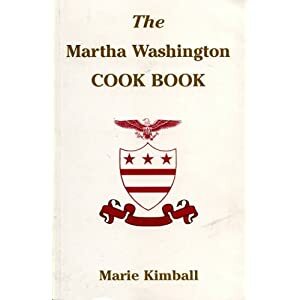 I soon learned Martha Washington made sure every dish was prepared exactly as called for in her personal cookbook given to her at the time of her first marriage to Daniel P. Custis in 1749. As a wedding gift, her mother-in-law presented Martha with a personal copy of the Custis family cookbook. Handwritten by an unknown hand in old English, the recipe book containing over five hundred recipes had been in the Custis family for generations. This was a family heirloom dating back to the early 1600s and the recipes dated apparently from Elizabethan and Jacobean times, some say the golden age of English cuisine. The First Lady kept and used her family cookbook for more than 50 years. In 1799, she presented the book to her granddaughter, Eleanor Parke Custis as a wedding gift when she married Lawrence Lewis. It was handed down from mother to daughter until 1892 when the Lewis family presented it to The Historical Society of Pennsylvania where it still resides today. The above cake was a favourite of the family and often served at dinners presided by Washington and the First Lady. "Take 40 eggs and divide the whites from the yolks and beat them to a froth. Then work 4 pounds of butter to a cream and put the whites of eggs to it a Spoon full at a time till it is well worked. Then put 4 pounds of sugar finely powdered to it in the same manner then put in the Yolks of eggs and 5 pounds of flour and 5 pounds of fruit. 2 hours will bake it. Add to it half an ounce of mace and nutmeg half a pint of wine and some fresh brandy. In making Martha Washington's famed cake, Mount Vernon's curatorial staff followed Mrs. Washington's recipe almost exactly. Where the recipe called for 5 pounds of fruit, without specifying which ones, 2 pounds of raisins, 1 pound of currants, and 2 pounds of apples were used. The wine used was cream sherry. Since no pan large enough was available to hold all the batter, two 14 layers were made and stacked (note: the original was one single tall layer). The layers were baked in a 350 degree oven for 1.5 hours. Should be iced with a very stiff egg-white based icing, flavored with rosewater or orange-flower water." Obviously I cannot justify baking such a large cake but a smaller scale version sounds lovely! 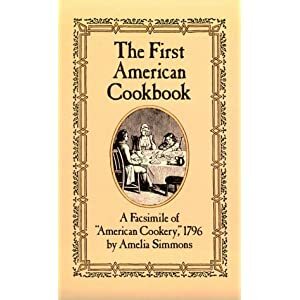 The book is a wonderful way to step back in times gone by and since I love History and Cooking, I went one step further and found a copy of the First American Cookbook produced in 1796! Worth reading, and bound to find a place on your bookshelves if you are anything like me! Please note I was not remunerated in any way for this post and simply wanted to share my opinion! Recently graduated from College, May Seymour has good looks, intelligence, friends and everything to look forward to. She just does not know yet what to do with her life. One day she meets Claudius, a caring elderly farmer who welcomes her in his home and his life for the summer and May discovers the simple joy of working the land alongside her new found friend. Summer comes to an end and she embarks on a mission to Rwanda. There she will find herself in the midst of civil war and will become a tragic victim whilst experiencing also deep love for the people surrounding her. After her return home May comes to Claudius's farm to heal and with his help and his friends, she finds a certain measure of peace yet becomes a recluse. Through correspondence she also renew her relationship with Eli, an old boyfriend whose life has taken a completely different path. May painfully rediscovers life and faith whilst accepting there is a reason behind God's plan for all of us. She will indeed resurrect! I reviewed this wonderful inspirational book whilst sitting on the porch of our little mountain cabin. I finished the last page and sat back for awhile, just thinking back on what Lisa Samson wrote in this book and all I can say is 'Wow!". This is truly the kind of writing that makes you think back and feel your faith. In her "About the Author's page" Lisa Samson speaks of liking nothing more than sitting around her kitchen table talking with friends and family. I found myself wandering what comes after "Resurrection in May"... I look forward to her next book and I give it a whole heart-ed 4 1/2 stars.